One of the best opportunities to mingle with our fans during the summer months is at the Kentucky Forecastle Festival’s Bourbon Lodge, July 15-17, in Louisville. The Forecastle Festival draws tens of thousands of music fans from across the world to Louisville in July, but as you may know, there is much more to this event than music. 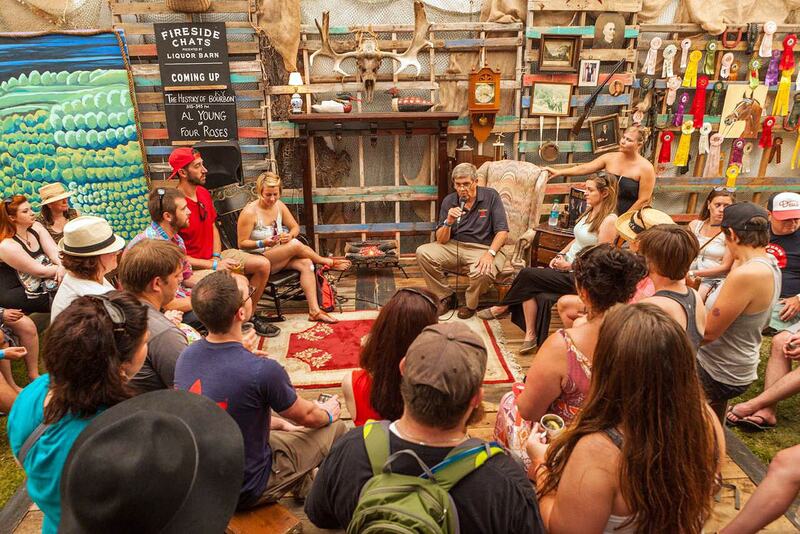 The Bourbon Lodge has grown to become a festival-goer favorite, and something we sure do look forward to, each year! We will be hanging with our friends and enjoying the full schedule of exclusive Bourbon experiences, including product samples, food and specialty cocktails—like our Blueberry Jamboree. Join us on Sunday at 3:30 p.m. as Four Roses Bourbon’s Brand Ambassador Al Young takes us on a journey through the history of Bourbon during his Fireside Chat. Click here for more information on the Bourbon Lodge – we hope to see you there!